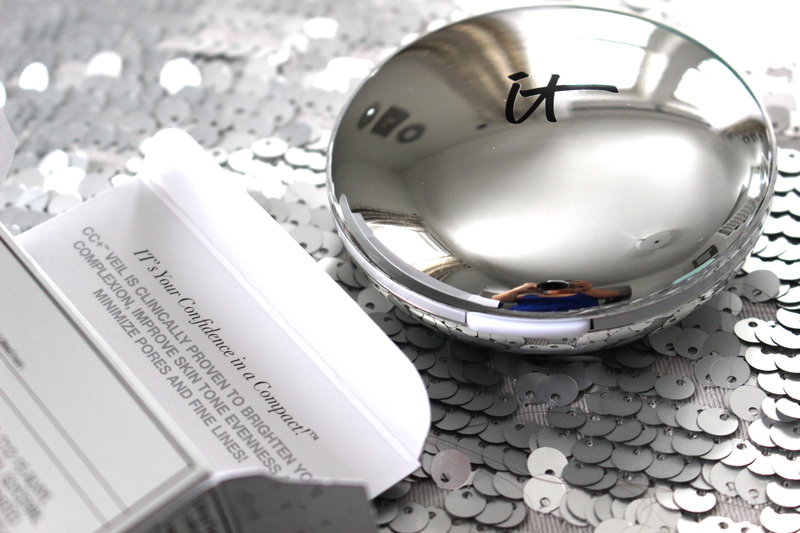 I’m a huge fan of IT Cosmetics, and have yet to find a product of theirs that disappoints. 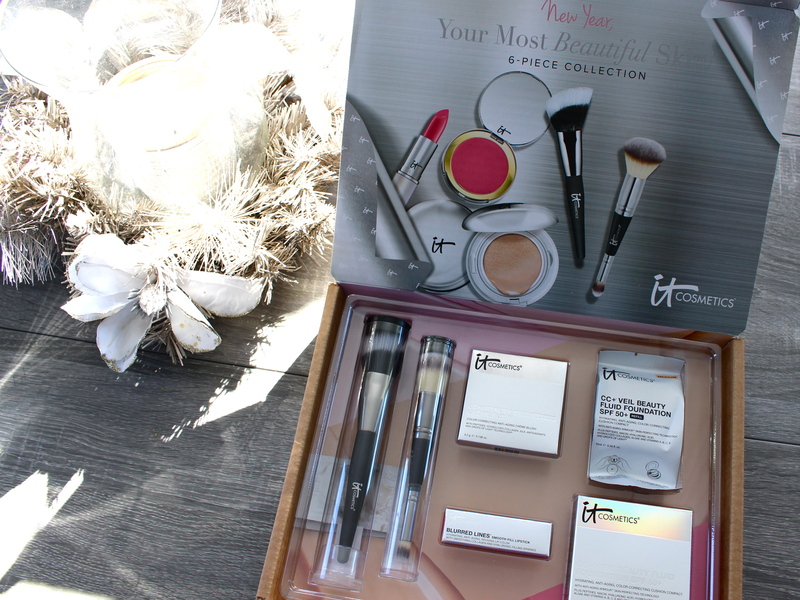 I love when they team up with QVC and offer must-have collections at a super affordable price. The air date for this special offer was on January 16th, so I’m a little late, but better late than never right?! Their latest offer: the New Year, Your Most Beautiful Skin! Six-Piece Collection. A collection of skin loving products that let your natural beauty shine through. CC+ Veil Cushion Compact Foundation – On top of leaving your skin fresh faced and flawless, this foundation offers SPF 50+ UVA/UBV broad spectrum protection. It’a a light consistency that gives you medium coverage and can easily be built up without over doing it. I have it in shade medium (my usual) and it matches up well to my skin tone. I love using the Heavenly Dual-Ended Complexion Perfection Brush to buff out foundation and achieve perfect coverage that blends so easily. It’s super soft and is great for liquid or powder foundation. I use the larger end for foundation and smaller for concealer. I’m not too keen on blush, I have trouble finding one that is a good consistency and color. 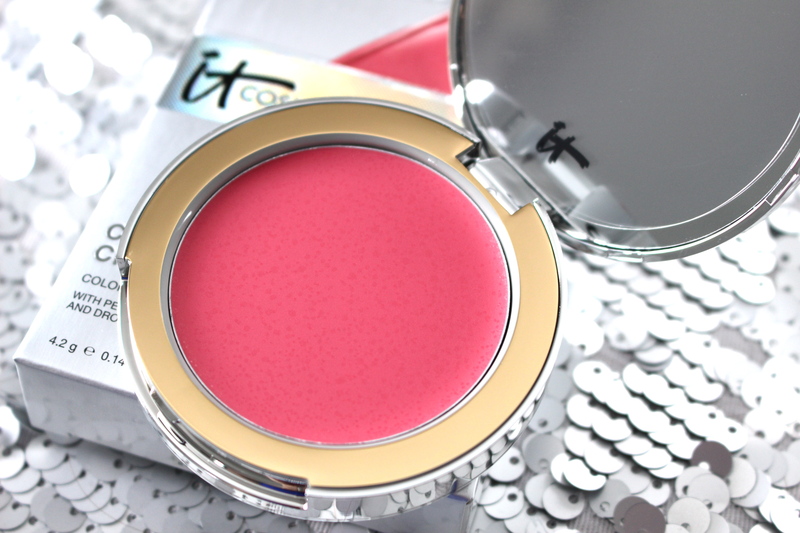 The CC+ Creme Blush in Je Ne Sais Quoi is a beautiful shade of pink that looks suitable for many skin types. I’ve only had this collection for a week now, so I still have to play around with this to get it to my desired liking. 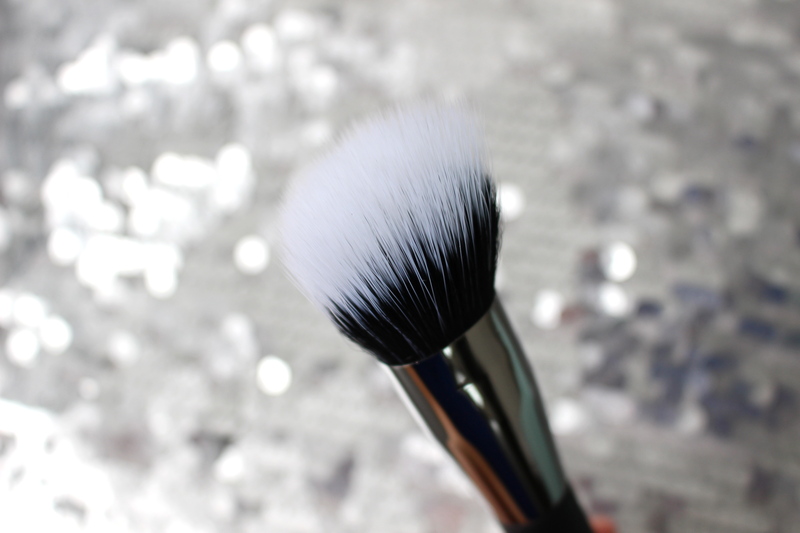 The Angled Radiance Creme Brush works wonders for applying blush and contouring. It picks up just the right amount of product and precisely distributes it over cheeks for a natural, glowing finish. 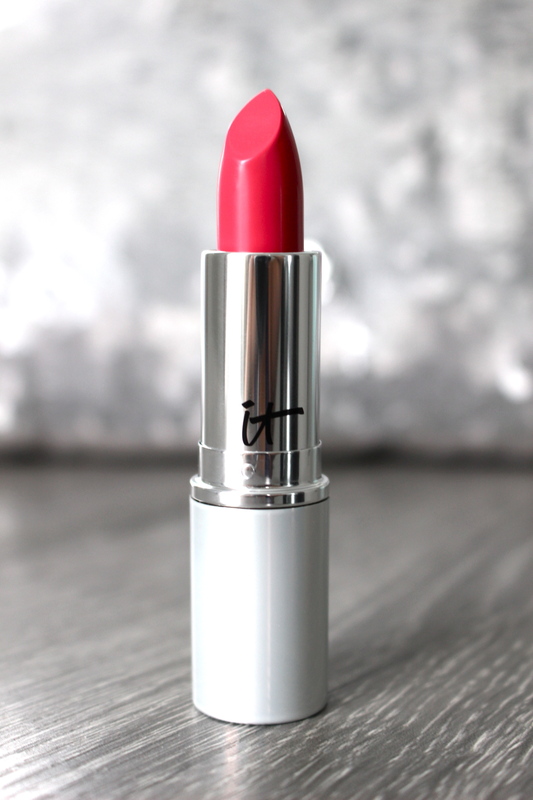 The Blurred Lines Lipstick in Je Ne Sais Quoi is a universal shade of soft pink suitable for everyday wear. It lasts hours and keeps your lips hydrated and smooth. It’s a formula of collagen, jojoba, peptides, shea butter and grape seed extract amongst others. I love IT Cosmetics too! I kick myself for not getting this set when it was available! My favorite product is the CC Cream and I have the 3 Romantic palettes, they’re my go-to!